If football has been traditionally known as a male dominated sport, then the world of football officiating has been REALLY male dominated. One of the names bucking that trend is Bibiana Steinhaus. The German referee was the first female of officiate in the Bundesliga when she took charge of Werder Bremen’s trip to Hertha Berlin in September 2017, the culmination of years of toil. Having initially taken the whistle in 1999, she has enjoyed almost two decades of progression within the game. From the lower echelons of German football, she has now taken charge of some of the biggest games on the planet. The road has not been easy. She has had to contend with outright sexism within the German game but has swept it aside with a steely professionalism and an element of cutting humour. – Steinhaus is a trained police officer having risen to the rank of Chief Inspector. 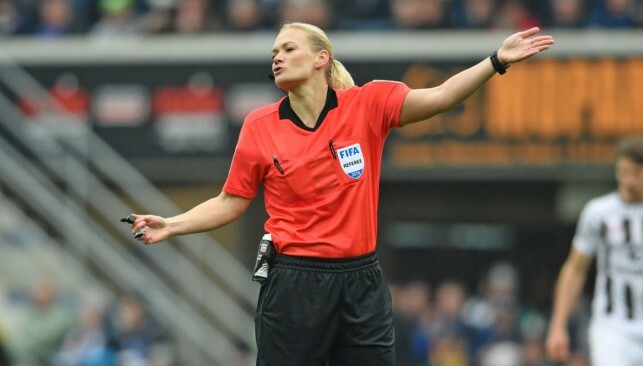 – She became the first woman to officiate in men’s German professional football when she appeared in the 2. Bundesliga in 2007. – She famously brushed aside Pep Guardiola during his time at Bayern Munich when he put his arm on her shoulder as she was fulfilling fourth official duties in a match against Borussia Monchengladbach. 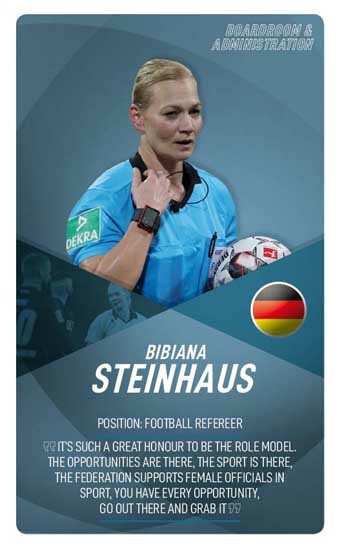 Steinhaus has completed an impressive triple of refereeing the Women’s World Cup final, Olympic final, and Champions League final. The list of people who are members of both the FIFA Council and the International Olympic Committee is a short one. Just one person long, in fact: Lydia Nsekera. 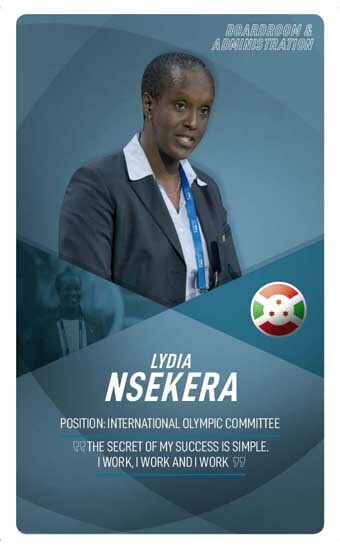 Her election to the FIFA Council – in 2013, she became the organisation’s first woman executive in its then-109-year-history – was a long time coming, as she’d been president of the Football Federation of Burundi for nine years before taking her spot in football’s overall governing body. Along with rescuing Burundian football from the shambolic state it was in at the time, she also spent her term as president advocating for the growth of women’s football in Africa, instituting grassroots development programmes and calling for more professional leagues to be formed. She’s been just as tireless in her role with the IOC, where she chairs the Women in Sport Commission, pushing for gender equality at all levels of sport. Nsekera’s unique position as a figure of authority for both the world’s biggest sport and global sport’s biggest event brings to mind the famous Spider-Man line. But the responsibility that comes with her power is one she’s bearing with grace and steely determination. – In Forbes’ 2018 list of the most powerful women in international sport, Nsekera was ranked second. – Nsekera won the IOC Women and Sport Award in 2009. – She has been a member of the Executive Committee of the Association of National Olympic Committees since 2014. 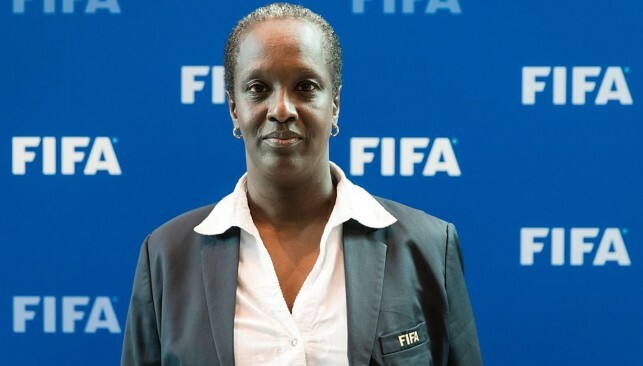 Burundi held its first women’s football championship under Nsekera’s watch during her tenure as FFB president. 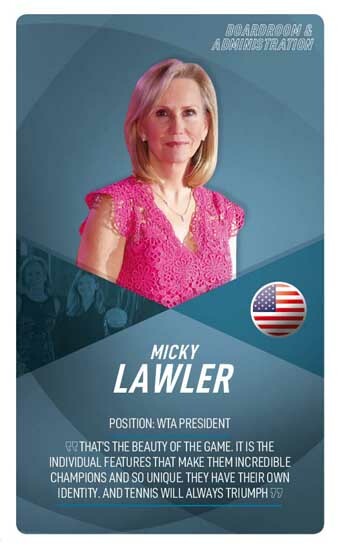 Micky Lawler has spearhead the development of women’s tennis for nearly three decades, using her innovative ideas to help the sport scale new heights around the world. 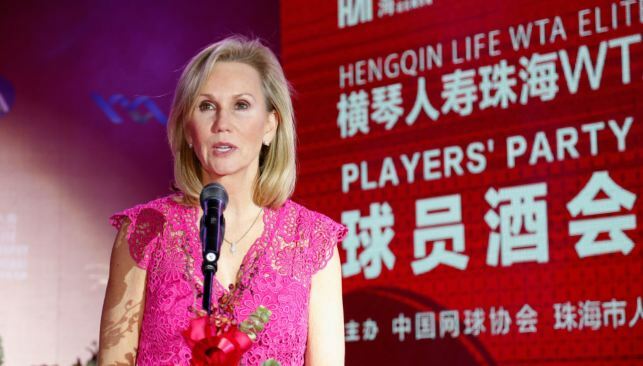 Serving as a WTA Board Member for 11 years, the American has been instrumental in shaping and contributing to new markets, especially with the introduction of important new tournaments in China like the Wuhan Open, China Open and Shenzhen Open – which will host the WTA Finals from 2019 with record prize money. And with tennis reaching incredible levels of popularity – broadcast and digital viewership is up by 20 per cent in 2018 – Lawler’s commitment and ability to find creative solutions makes her a perfect fit to a role which continues to strengthen the women’s game. – Lawler was pivotal to the WTA and Porsche renewing their bumper multi-year global partnership earlier this year. – Having lived in nine different countries, including back in Florida where she is currently based, Lawler is fluent in Dutch, Spanish, French, German and English. – She was named a Game Changer: Women in Sports Business by the Sports Business Journal in 2017 for her tremendous service to tennis. Lawler made her mark as one of the first female sports agents in tennis, representing the likes of Alberto Mancini, Richard Krajicek, Paul Haarhuis, Amelie Mauresmo and several other top athletes.